Louis Gregiore, Sheriff of the Miller County Sheriff’s Department in Missouri, sadly reports the death of Deputy Sheriff Casey Shoemate. Deputy Shoemate, 26, died as a result of injuries he sustained in a two vehicle crash. 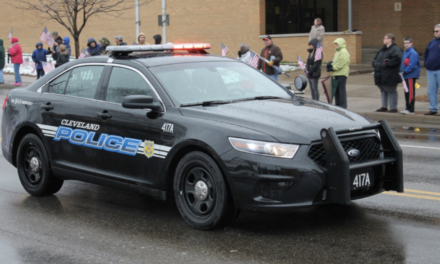 He was responding to an emergency 911 call in his 2014 Dodge Charger patrol vehicle. While traveling, he passed a fire truck that was responding to an unrelated, non-emergency call. As Shoemate passed the fire truck in a no passing zone, he collided head-on with an oncoming vehicle. Consequently, he was killed instantly. The driver of the Toyota 4 Runner SUV that he struck was extricated from his vehicle and flown via Staff for Life to the University of Missouri Medical Center in Columbia in serious condition. Troopers of the Missouri State Highway Patrol, Troop F, and their Crash Reconstruction Team are investigating the collision. 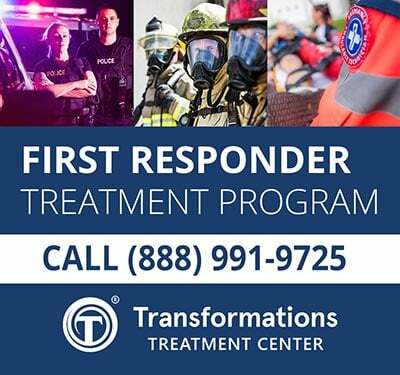 No amount of training can prepare anyone for a tragedy that hits so close to home. As the family of our deputy deals with their sudden loss of their loved one our county deputies struggle with their loss of a brother. It is times like these that we really see how big, how devoted, and how bonded our Blue Line family really is. As our deputies pull themselves together to support one another our surrounding counties have stepped up and is providing support! 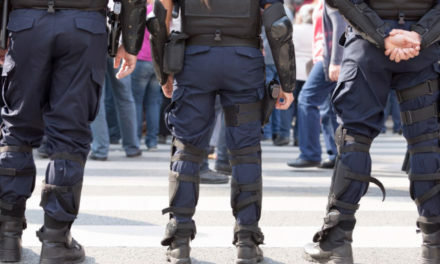 Cole County Sheriff, Osage County Sheriff, Moniteau County Sheriff, Morgan County Sheriff, Pulaski County Sheriff, Missouri State Highway Patrol, and numerous other counties are currently providing intense support. Please continue to pray for the deputy’s family as they seek strength. Our thoughts and prayers go out to the Miller county sheriffs department as well as the family for the loss of their deputy. I myself (Capt. Sloan) would like you keep all personnel that assisted tonight in my thoughts and thank each and every one of them for a professional manner on scene of this accident. 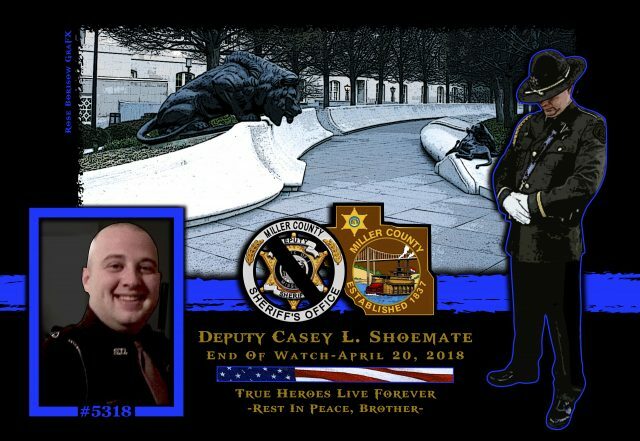 Casey Shoemate served the Miller County Sheriff’s Department for one year. 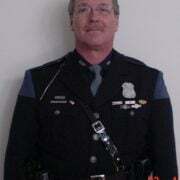 Before that he worked at the Eldon Police Department and Versailles Police Department. Shoemate’s parents and siblings survive him. Deputy Casey Shoemate is gone, but will never be forgotten. 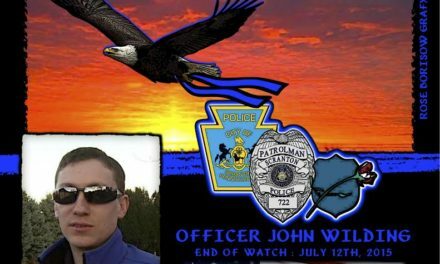 EOW: Friday, April 20, 2018.